Berg Management Company, LLC, located in Downtown Waukesha, is a full service property management firm in the business of leasing and renting both commercial and residential properties in Waukesha. Berg Management has been a part of the Waukesha community for over 30 years. We have been a key member of the Downtown Business Improvement District (BID), since its inception, and a member of the Waukesha County Chamber of Commerce. We currently represent over 100 commercial and office spaces and 250 residential spaces in downtown Waukesha. Downtown Waukesha is experiencing an incredible renaissance and the revitalization of the area is amazing! Berg Management has been a major participant in the Historic Preservation and Rehabilitation of “landmark” properties in the downtown area. Berg manages and maintains the historic Rotunda building; we have completed the restoration of the old “Shultz Hotel,” currently the home of the popular restaurant, Meli Bar (294 W. Main St.); and we have also restored the historic Putney Building in the city’s center at 301 W. Main St. Downtown Waukesha has much to offer to business owners and employees alike. It is easily accessible – just two turns off of Interstate 94. You are close to banking, shopping, and dining as well as the newly renovated Fox River Walk. There is ample parking and a great mix of businesses that can only enhance your success. (And no more one way streets!) The atmosphere is full of energy and renewal. There is a dynamic Business Owners Association, which Berg Management is a member of, and the city administration has been a supportive partner in the growth and development of the downtown area. 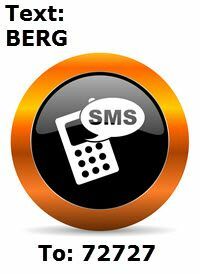 As Berg has grown over the years, so has our organization and capabilities. Our skilled staff includes experienced real estate brokers, several maintenance professionals (24 x 7 on-call), competent administrative and finan﻿cial staff, and a small, but dedicated, team committed to historic preservation/renovation, new construction, and downtown development. We partner with our commercial tenants to assist in their success and our incredible staff works with you from start to finish. We have design, construction, and maintenance crews available to meet your corporate layout, help with retail or office set-up, and keep your property functioning smoothly, while respecting the architectural and historical significance of the building. We offer a wide variety of leasing options and competitive pricing.